Question: What are Underground Cable Location Services? Answer: Underground cable location services is a process of performing an underground scan on a proposed piece of land to be used for building a house/office etc. Networks of underground cables including utilities cables, water pipes, electricity cables etc might not be installed in a straight line due to any obstacles and can get damaged in digging if the diggers don't know their exact locations before digging. Underground scan is used to pin-point the exact locations of these underground cables to avoid any mishaps. Question: What is a Groun Penetrating Radar (GPR)? Answer: Ground Penetrating Radar (GPR) is a geophysical method that uses radar pulses to image the subsurface. This non-destructive method uses electromagnetic radiation in the microwave band (UHF/VHF frequencies) of the radio spectrum, and detects the reflected signals from subsurface structures. GPR can be used in a variety of media, including rock, soil, ice, fresh water, pavements and structures. It can detect objects, changes in material, and voids and cracks. Question: How deep can GPR see into the earth? Answer: The depth range of GPR is limited by the electrical conductivity of the ground, the transmitted center frequency and the radiated power. As conductivity increases, the penetration depth also decreases. This is because the electromagnetic energy is more quickly dissipated into heat, causing a loss in signal strength at depth. Higher frequencies do not penetrate as far as lower frequencies, but give better resolution. Optimal depth penetration is achieved in ice where the depth of penetration can achieve several hundred meters. Good penetration is also achieved in dry sandy soils or massive dry materials such as granite, limestone, and concrete where the depth of penetration could be up to 15 m. In moist and/or clay-laden soils and soils with high electrical conductivity, penetration is sometimes only a few centimetres. Question: How does the 3D Imaging work? Answer: Individual lines of GPR data represent a sectional (profile) view of the subsurface. Multiple lines of data systematically collected over an area may be used to construct three-dimensional or topographic images. Data may be presented as three-dimensional blocks, or as horizontal or vertical slices. Horizontal slices (known as "depth slices" or "time slices") are essentially plan view maps isolating specific depths. Time-slicing has become standard practice in archaeological applications, because horizontal patterning is often the most important indicator of cultural activities. Question: Can GPR find power? What other things can GPR find? Answer: GPR has many applications in a number of fields. In the Earth sciences it is used to study bedrock, soils, groundwater, and ice. Engineering applications include Nondestructive Testing (NDT) of structures and pavements, locating buried structures and utility lines, and studying soils and bedrock. In environmental remediation, it is used to define landfills, contaminant plumes, and other remediation sites. In archaeology it is used for mapping archaeological features and cemeteries. It is used in law enforcement for locating clandestine graves and buried evidence. Military uses include detection of mines, unexploded ordnance, and tunnels. Construction uses include concrete coring, steel & power location. Question: What is the difference between GPR and X-ray? Answer: GPR uses sound waves for immediate results. Xray uses radiation and film which sometimes take hours to see the results. Additionally, since GPR uses sound waves, it is 99% safer than using xray, as it uses radiation which requires area additional protective equipment. Question: How much will a scan cost? Answer: GPR pricing is based on several factors such as geographic location, size of area, how many areas are scanned and what type of imaging must be performed. Please call or email us for a specific quote according to your needs. Question: Is ScanMan able to provide reports for my engineer/company/other, and what do they show? Answer: Yes, according to your requests, we can supply reports, these will include images of areas scanned, giving accurate measurements on the location of targets, slab thickness, steel or other anomalies within the scanned area. 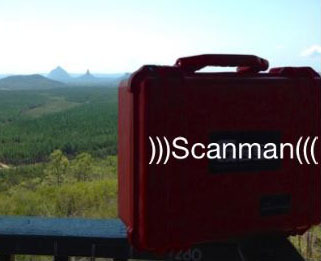 Question: ScanMan is based in QLD, I am in Tasmania... Can ScanMan still help me with my location job? How quickly can I get someone here? 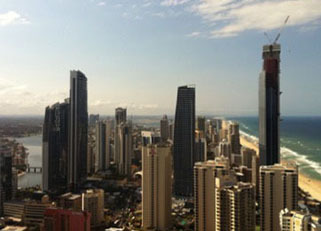 Answer: ScanMan is Australia’s provider of GPR and utilities location, no job to small, no place to far. We have the resources to have someone on site at a time that suits our clients’ needs. Question: Does ScanMan operate under an EHS Plan? Answer: The ScanMan Company was formed with the view of being the safest scanning company available. We operate under a full EH&S plan, Safe Work Method Statements (SWMS) and use all Personal Protection Equipment (PPE) required for access to all major sites. Question: What exactly does ScanMan do? Answer: ScanMan is Australia’s provider of concrete scanning, ground penetrating radar (GPR), 3d imaging & utilities location services. Our trained GPR service technicians are experienced in locating rebar, post tension cables, tanks, utilities, voids, pipe, conduit, and underground objects, by using the most advanced in ground penetrating radar and services location technology. Question: What should I look for when picking a GPR company or utility locating company? Answer: Safety! Hands down, safety is the number one factor when doing any sort of location works. Look for a company that operates under an EH&S plan, uses up to date equipment, has regular equipment checks and one that uses all resources available to them to make your location work as safe as possible, i.e., "Dial Before You Dig Plans." Question: What information should I receive after the scan is complete? Answer: That really depends on what you have requested. Sometimes you may receive a written report with images and at other times you may have the location of targets marked on the ground (or other) in the area that was scanned. This is something you should discuss with your scanning company before works are started. Question: What should I expect from the ScanMan when he arrives on site? Answer: Your ScanMan should provide you with a copy of our EH&S plan and SWMS (if required), he should also be wearing full PPE (personal protection equipment), and have a day sheet for you to sign and a business card for your information. Question: What should I provide before the Scan takes place? Answer: Most importantly, a safe work area, clean and free of debris. Also, it is always good to provide your ScanMan, ‘as built’ drawings or "dial before you dig" plans. This will add to their effectiveness and ultimately save you time and money. Question: What questions should I be asking when the scan is complete? •	How many targets were located, if any? •	Did you find any power sources? •	How deep are the targets? And what size, shape are they? •	How thick is the concrete and at what depth is the steel located? •	Were there any gas, telephone or other objects located? •	Have you marked all of the targets for my information? Is there anything extra you can tell me that may be important before excavation?